On Monday 25 May 2015 I arrived in my Pappou’s village, Agia Irini (Akdeniz). My friend Erol gave me and my research assistants (my parents) a warm welcome. He had arranged two elderly Turkish Cypriots for me to interview. The first was a man named Hüsayin. He was a beautiful and lively man; he and his wife Emine were incredibly hospitable. Many of their neighbours and relatives joined us, as we sat outside and spoke of the old days. 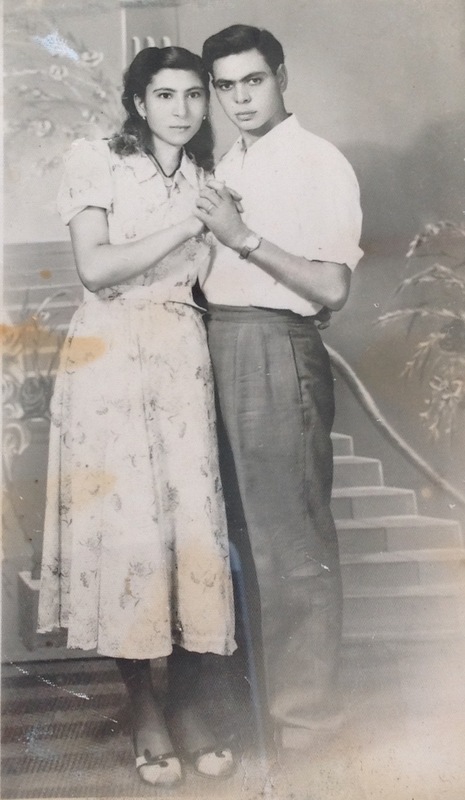 Both Hüsayin and his wife still spoke fluent Cypriot Greek, which made it much easier for my father to communicate with them and interpret for me. Hüsayin spoke of his many Greek Cypriot friends, of the adventures they had and the love and respect they had for one another. He said that in the old days (1940s-1950s) it was difficult to differentiate between Turkish and Greek Cypriots, as most looked the same and spoke both Cypriot Turkish and Cypriot Greek. Perhaps this made for a peaceful and accepting village, as the characteristics of each group were so similar to the other, with only religion separating them. Hüsayin told me that he visited the village church (Agia Irini) many times for Christian festivals, including Easter and Saint Name Days, as well as weddings, baptisms and funerals. He also told me that many of his Greek Cypriot neighbours attended the mosque (Jami) for Muslim festivals. Hüsayin was married in 1960; he and his wife have four beautiful children (I have seen the photos!). When I asked to see some old photos he told me that the Turkish military had destroyed them all. He became emotional and told me how sad and depressed he was when his Greek Cypriots friends fled Agia Irini in 1974. My second interview was with Erol’s mother-in-law, Hürsiye. She looked as fit as a fiddle and her eyes sparkled like a 20 year old rather than a 79 year old! She too spoke fluent Cypriot Greek, as many of the elderly Turkish Cypriots still do. Hürsiye is the younger sister of my Pappou’s best friend Mehmet Emin, who he met so joyfully in 2013 after several decades. Mehmet Emin unfortunately passed away in 2014. My parents and I visited his widow Feriha a few months after he had died and gave her a framed photo of Costas and Mehmet Emin. She cried and told us that the day Costas left the village, Mehmet Emin put on his best suit and got a special haircut (he had the best head of hair I have ever seen!) to farewell his dearest friend. We had been thrilled to meet Feriha and her family, and were excited to meet Hürsiye, who had grown up living next door to Pappou and his brothers. They were neighbours who adored each other like siblings. 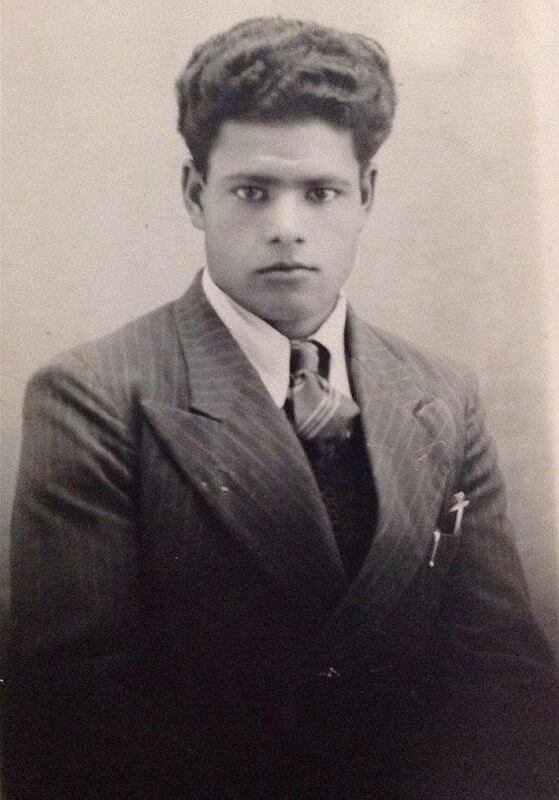 Hürsiye told me that my great-grandfather not only planned, but was the Koumbaro (best man) at her wedding in 1956. My parents were thrilled: “So we are family!” my mum exclaimed. Many Turkish and Greek Cypriots were Koumbaros and bridesmaids/groomsmen in each other’s weddings, demonstrating the deep friendships that existed between the two groups. Hürsiye said that it was normal for the whole village to be invited to the weddings of both Turkish and Greek Cypriots, which often went for three or four days. I was surprised when she told me that many traditional Cypriot weddings included the practice of henna tattoos, similar to many Indian wedding traditions. Hürsiye had two children, both of whom live in the village. Tragically, her husband was killed during the 1963 conflict in Cyprus and his body was never found. He is one of many Turkish and Greek Cypriot missing persons. These people feel like my family and I love hearing all of their stories of my Pappou and his brothers who grew up with them. “Many tears when we see each other” … and many smiles reading this!